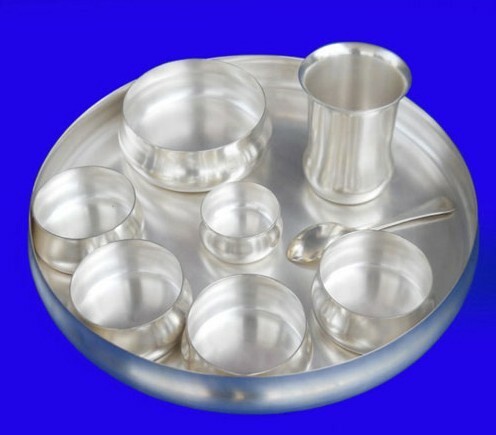 Plain Dinner Set Of 9 Pcs, 13 Inches	1. Size - 13 Inches 2. Material - Brass 3. With Dull Silver Finish 4. Set Of 9 Pcs Serve delicious meals to your family or guests on those special occasions These stack-able dinner pieces are easy to clean as they are dishwasher-safe.